Homeowners in the NYC metro area call us often with all kinds of different boiler problems. So, we’ve decided to share a few of these issues to help you troubleshoot boiler problems yourself (if and when you come across them). Need help right away? Give us a call or schedule below and we’ll quickly send over one of our certified plumbers to fix whatever is causing the problem. Is your boiler shutting on and off frequently? Faulty steam traps: Steam traps remove condensate (water) from steam and help maintain proper pressure levels in your boiler system. If one of these traps is faulty (stays open when it shouldn’t), then it could cause your boiler to short cycle. Broken air vents: Air vents release pressure buildup from your boiler. If they’re broken or not working properly, then pressure can build up inside the boiler, causing it to short cycle. 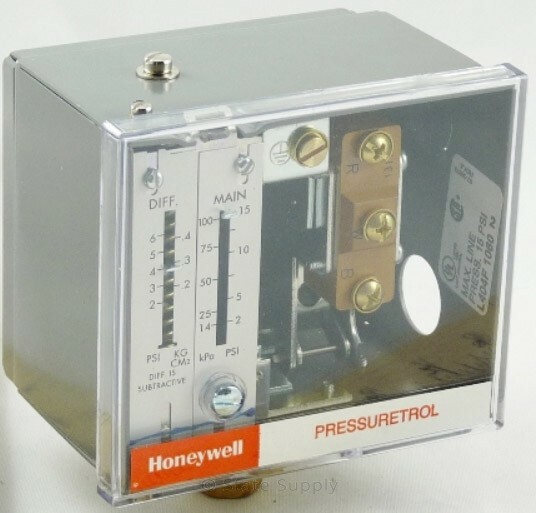 Issue with the pressuretrol: The pressuretrol controls when your boiler should turn on and off based on steam pressure in your system. If this control is failing it could send incorrect signals to your boiler, causing it to turn on and off frequently. Thermostat is malfunctioning: The thermostat is the brain of your boiler system: it tells it when to turn on and off to match your desired temperature. If it’s malfunctioning (likely because it’s not calibrated correctly), then it could send faulty signals to your boiler, causing it to short cycle. Pressure is too high in the boiler: If pressure is too high in your boiler, then it could trigger your boiler to shut off and on frequently. A professional can diagnose and fix what’s causing pressure to build up inside your boiler. Boiler is oversized: Sometimes a boiler is too big for your home’s heating needs, which means it will heat your home very fast, then immediately shut down. This isn’t good for your system, and could mean you may need to replace your boiler with one that is correctly sized for your home. Since short cycling is a serious problem for your boiler, you’ll want to contact a professional to inspect your boiler for the issues above. Bad mixing valve: Mixing valves ensure that the water delivered to your faucets is the right temperature. If a mixing valve breaks, it may be letting too much cold water mix with heated water, which means the water coming out of your faucets will be colder. Bad aquastat control: An aquastat (temperature switch) regulates the temperature of the water inside the boiler. If the aquastat control is malfunctioning or not configured properly, your boiler may not be delivering hot water to your home. Dirty coil: If you have a tankless boiler, your heating coils may be dirty. Dirty heating coils reduce your boiler’s ability to heat your water to the desired temperature, which could explain why you’re not getting any hot water. Hot water being overdrawn (too much demand): The reason you may not be getting any water could be because you’re using too much hot water at once. Try limiting how many hot water activities (like washing clothes, dishes, showers, etc.) you do at the same time and see if that fixes the problem. Contact a professional to check for and repair these boiler problems. Hear a loud banging sound when your boiler turns on? A delayed ignition: Note: This problem is only applicable to gas hot water boilers (not electric boilers). If you hear one loud BANG when it fires up, it’s most likely because your boiler has a delayed ignition. Delayed ignition means that the gas that’s sent into the combustion chamber isn’t ignited immediately. Instead, gas keeps getting pumped into the combustion chamber, creating a dangerous buildup until the pilot light finally ignites it, creating a loud BANG! Kettling: This problem can happen to BOTH electric and gas hot water boilers. Does your boiler make more than one popping sound after it turns on? If so, that’s most likely because of kettling. Kettling just means your boiler’s heat exchanger (the part that heats the water) is too hot. When water comes into contact with an overheated heat exchanger, little steam bubbles form. But as those bubbles drift away from the heat exchanger into cooler water, they collapse, which makes that consistent popping noise you hear. Limescale deposits on the heat exchanger, which trap tiny pockets of water. The trapped water eventually overheat forming steam bubbles which forcefully escape the limescale deposits and erupt. Low water pressure/flow, which makes water travel over the heat exchanger too slow. The longer water stays on the heat exchanger, the hotter it will get, which creates those problematic steam bubbles we mentioned earlier. Contact a professional. They’ll inspect your boiler to figure out what’s causing the delayed ignition or kettling issue. Need a boiler repair in the NYC metro area? Contact Ranshaw Plumbing & Heating to schedule an appointment with one of our heating professionals. We’ll quickly fix whatever is causing your boiler to malfunction. Want a better idea of what to expect when you call us for a boiler repair? Just visit our boiler repair page to find out what’s included in your boiler repair, how scheduling with us works, etc. What's the Cost of a Boiler Installation in the NYC Metro Area?